As many of you may know, the most important reason to use soy candles is that they burn “clean”. The wax used in what we consider regular candles (paraffin wax) releases toxins as they burn. This makes soy the obvious better environmental choice. The second most important thing is that Shining Sol and hundreds of other soy candle manufacturers and consumers are helping re-stimulate the American economy. By purchasing soy candles you are doing a great part in putting money back into the hands of the American farmers who grow the soy beans that all of us are using. There are some aesthetic differences in soy wax that may be of some interest to you. 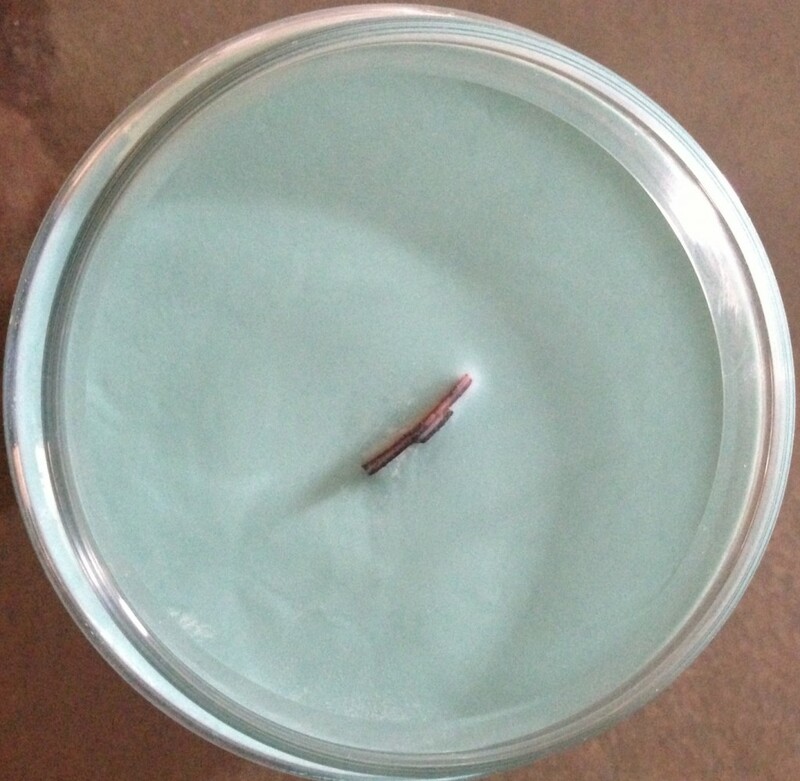 We have included pictures to help educate those who are new to soy candles. Soy dries in a much rougher way than the other wax. Above is a pic of how the candle looks hours after it has been hand poured. Several companies prefer to sell it untouched like this and some consumers also prefer the rough look. Soy dries in a much rougher way than the other wax. Above is a pic of how the candle looks hours after it has been hand poured. Several companies prefer to sell it untouched like this and some consumers prefer the rough look. Why don’t our candles have a rough top? We have developed a special process that we are very proud of that smooths the tops out. Upon receiving your candle, and before the first lighting, your candle wax looks like the pic above. We use a double heating technique and during this process it blackens the top of the wood wick. 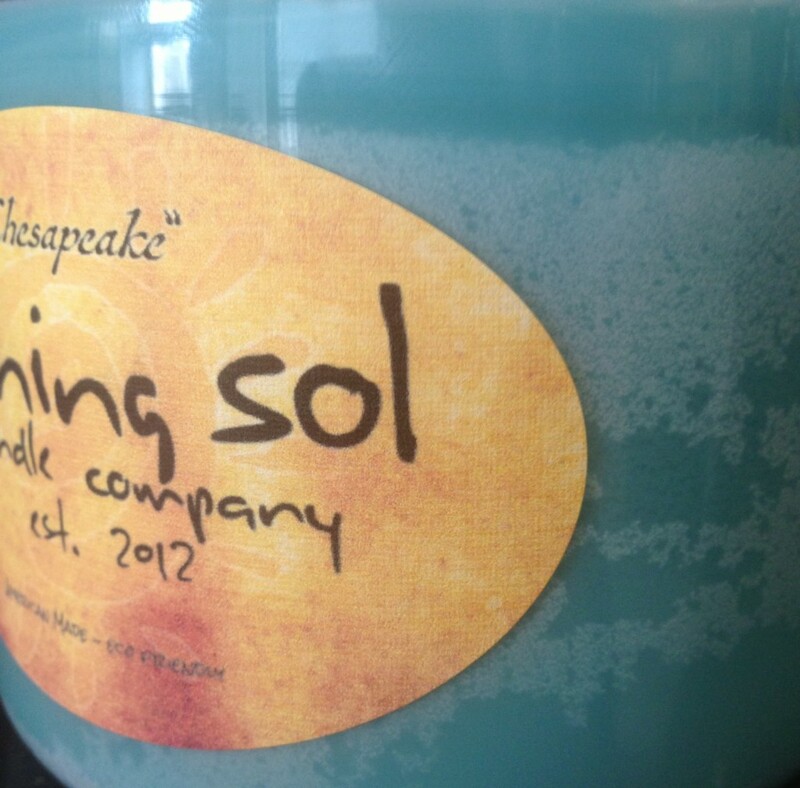 This has become a signature look for Shining Sol candles. After lighting your candle, the way it will re-dry is determined by the room’s temperature. Above is a candle that dried for 24 hours, in a 68 degree living room. You can see there is almost a crystallization to the wax. This is completely normal, and does not affect the burn time, scent, or the safety of the candle. Finally, you may notice what appears to be a frosting to your candle when you receive it. We at Shining Sol spent an enormous amount of time trying to prevent this. We were told by our peers and other experts that it is just another property of soy. However, you can buy other “soy” candles in stores that do not appear to do this. The plain truth of the matter is that they are probably not 100% soy candles. 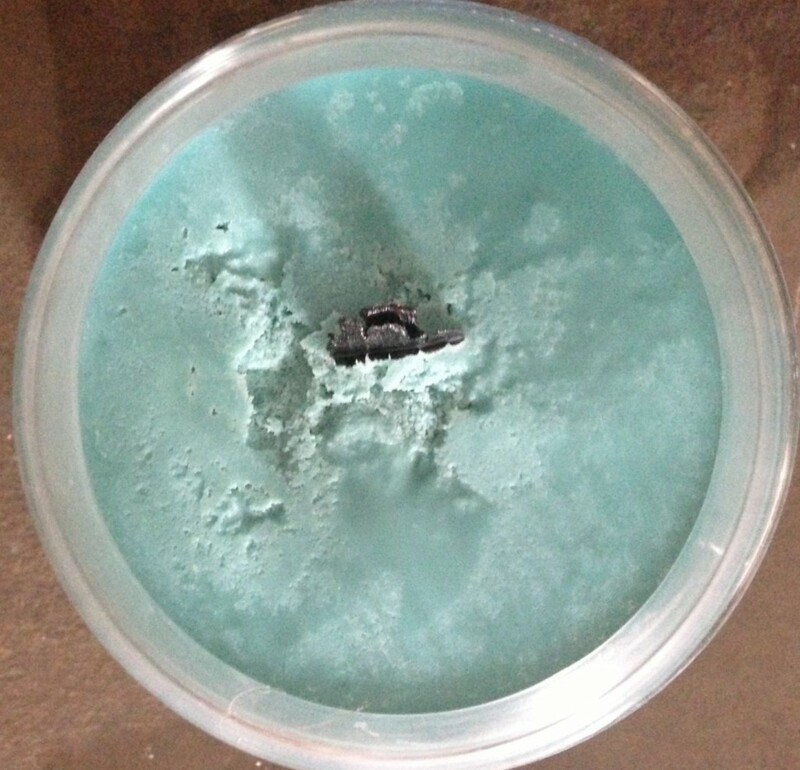 Many companies add other greases and oils to affect the aesthetic value of their candles. At Shining Sol, being 100% soy was our first priority and many soy purists have come to see the frosting as a sign of purity. Not all soy candles will frost. This also has a lot to do with the outside/room temperature and may happen during the shipping process.